Britons travelling to Canada may wish to purchase a medical travel insurance amid reports of a measles outbreak in Quebec. Ottawa Public Health officials are surveying families with children to check whether small children are immunised against the disease. Despite its eradication nine years back from North America, measles has made a comeback, with as many as 750 cases recorded. Dr Vera Etches, the associate medical officer with Ottawa Public Health, said: "In Quebec there was a failure in immunising the population for protection." 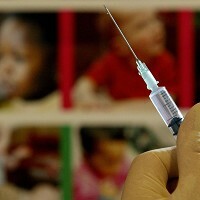 The authorities have decided to launch a vaccination programme in schools across the Quebec province, to ensure that at least 95% of the school-aged population is protected, in order to have a healthy community.